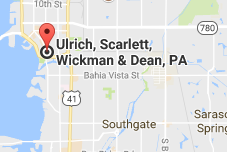 Kevin D. Micale - Ulrich, Scarlett, Wickman & Dean, P.A. Kevin obtained his Juris Doctor at Loyola University New Orleans College of Law. During law school, Kevin served as Editor-in-Chief of the Journal of Public Interest Law and Vice-President of the Intellectual Property Law Society. Kevin also worked as a research assistant for Professor Imre Szalai on his book, Outsourcing Justice: The Rise of Modern Arbitration Laws in America (2012), regarding the enactment and development of modern arbitration laws. Upon graduating from law school, Kevin was awarded the 2013 Loyola Alumni Outstanding Graduate Award. 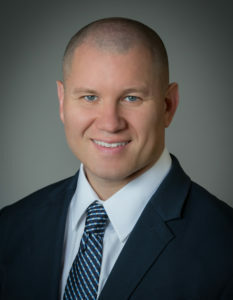 Kevin recently returned to Sarasota and joined Ulrich, Scarlett, Wickman and Dean, where his practice is focused on all matters related to construction and condominium/homeowner association law, as well as business, commercial, and other civil litigation. Kevin and his wife, Megan, have two young boys, Luke and Carter, and two dogs, Mason and Nola. In his free time, Kevin enjoys running, golf, live music, and spending time with his friends and family, and is an avid fan of Auburn University athletics.